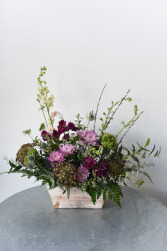 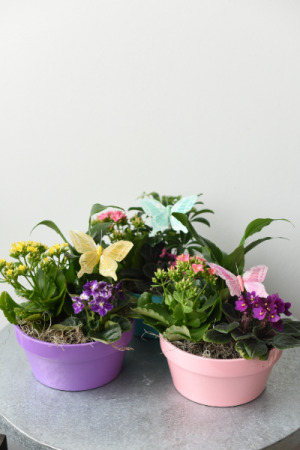 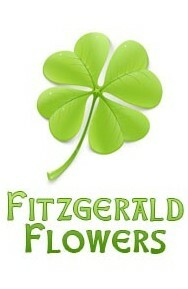 Lovely Spring colored ceramic pot filled with 3 assorted plants; mixed blooming and green. 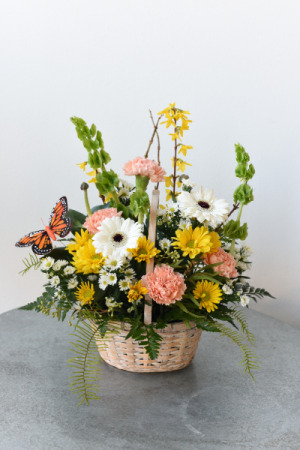 And a sparkly butterfly. 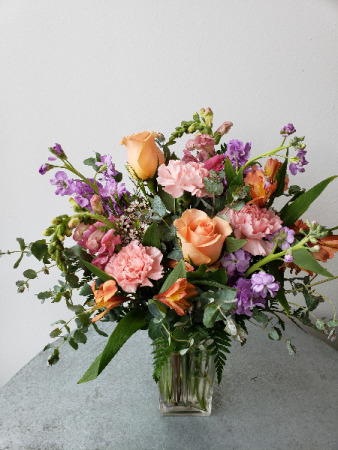 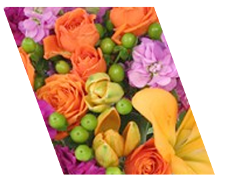 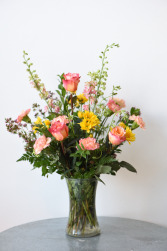 Peachy Roses, alstromeria, stock, and snap dragons....a gardeny delight. 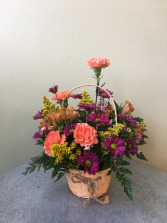 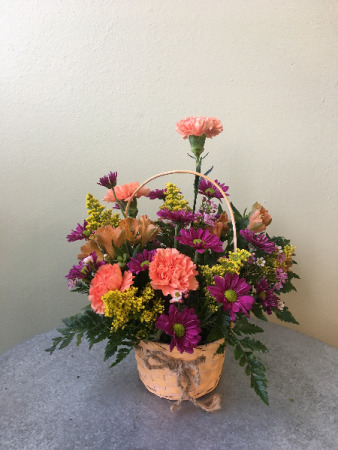 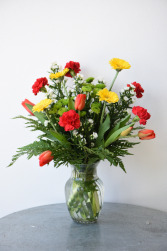 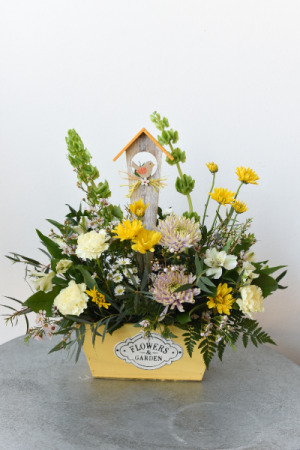 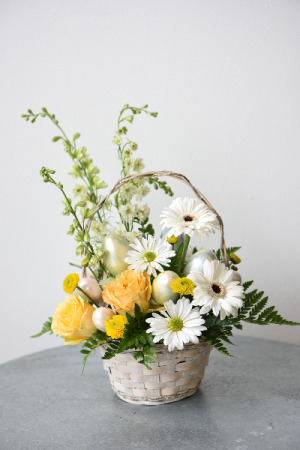 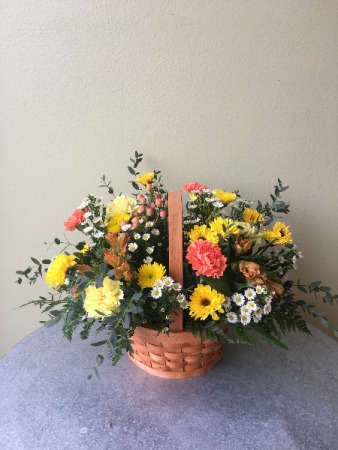 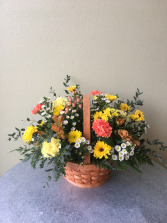 Round white basket with a cheerful mix of daisies and carnations in orange, yellow, and white tones.